Calm waves rock you gently as you lay on your back…hands and feet in the cool water..sun kissing your face…eyes closed…breathing through your final resting pose of Shavasana. 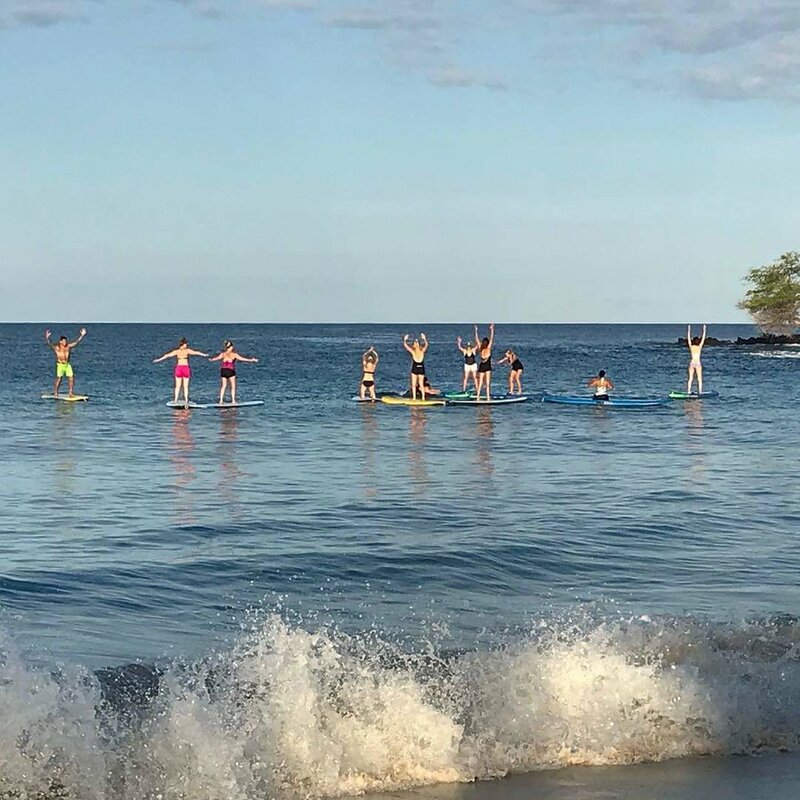 I love yoga, but then put me on a stand-up paddleboard (SUP) in the middle of the Hawaiian ocean and I am more relaxed than at any other time in my life. When you are on vacation in a place like this there is no immediacy to anything, there is no laundry or dishes to do, and nothing else to keep you from finding your meditative peace. To me, this is pure heaven. The poses are much harder – imagine doing a pose than on flat ground has some balance difficulties, and then try that on an unstable board with a breeze causing unpredictable waves. I fell off my board twice on the first day because my instructor could sense that I wanted to try some challenging poses. It was only her and I on the first morning, so I had my own private class and I think she knew she could take it a step farther than normal because I was up for anything. I’ve done yoga on my board on a calm lake before, and that was very difficult with the standing poses, but now ocean waves were added into the mix and it was MUCH harder! I LOVED it!! From a PT standpoint, SUP is amazing. It’s a mix of core, balance, strength and agility that cannot be replicated on dry land. You feel like you are literally using every single muscle in your body, especially when you add yoga poses into the mix. So the next time you find yourself at a resort that offers SUP or floating yoga – do it! You won’t be disappointed (unless you are very prone to motion sickness) and will start your day off with an incredible relaxation that will continue throughout your vacation. Otherwise, I might see you out on the Colorado lakes in the spring, summer and fall getting my SUP and yoga on! Namaste.